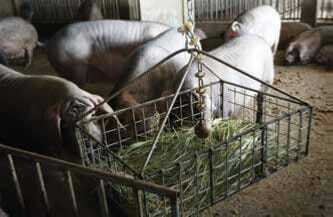 The case for successful group sow housing and providing adequate enrichment to sows is building, so much so that commercial businesses are making the commitment to completely phase out gestation stalls in the very near future. WAP have been at the forefront of trialling group sow housing and enrichment on commercial units worldwide and have recently presented some of their success stories in a business case report. “This is very much targeted at producers – the idea of the report is to show how large companies are investing in animal welfare; what the benefits are for adopting good welfare practices; and how welfare is important for investors. The Business Benchmark on Animal Welfare (BBFAW) has indicated that welfare is, indeed, important to investors and consumers. “We wanted to showcase the success of the companies that we’ve been working directly with and those that we’ve advised, that have embraced enriched group sow housing. Particularly, we want to highlight our producers in developing markets, such as those in China, Thailand and Brazil. There is a level of trust and a better bond created? Exactly – I think stockworkers have really embraced that and are enjoying working with that ethos. Is welfare considered valuable to the companies you have been working with? Our report commences with a focus on some of our producers in Thailand. Betagro Group (Betagro) is a vertically integrated food production company that is among the top 20 global pig producers; producing 2.4 million pigs for consumption globally. 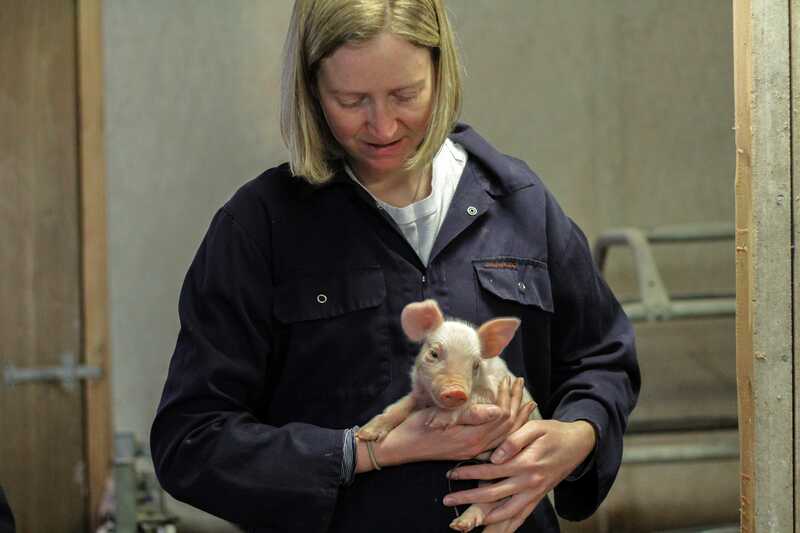 They are particularly interested in being global leaders in animal welfare; they really value a good quality of life for sows and value animal welfare from both an ethical and business perspective. Betagro have also committed to converting to completely free-farrowing by 2027, so this is a full system approach to welfare. 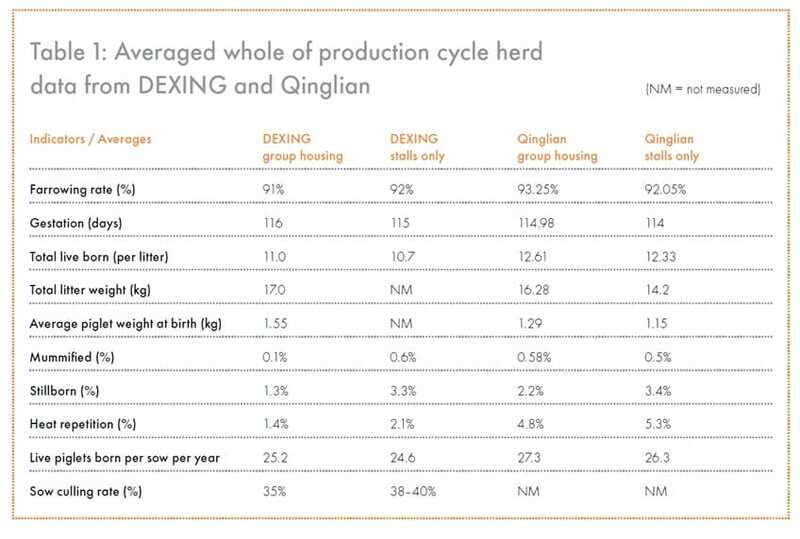 Our second spotlight focuses on China, which includes a company called DEXING who have been trialling group sow housing since 2007. They’ve been really happy with the work they’ve done and have developed a system that works for them. Welfare is central to the business plan of these companies. There is a lot of training and development required when it comes to beginning the journey into open sow housing systems? Exactly – it certainly takes time. As well as DEXING in China, we have another company called Qinglian, who became the first company to commit to ending the use of sow stalls in October 2017, aiming to have completed this across all of their companies by 2025. We have spotlighted their development as they have had an interesting approach to making these new systems work. Initially, Qinglian didn’t have partitions for the sows in their group system so sows were resting in dunging and drinking areas to find space. We worked with Qinglian to introduce concrete partitions to the pen to create functional resting spaces for the sows. Something we’ve been doing on the farms that we’ve worked with is performing AssureWel welfare assessments – we visit a farm and analyse the herd welfare; looking for lameness and monitoring their behaviour. We look at how and when they’re using enrichment, and also how they’re using the pen areas and resting areas. We were able to show that there was a significant increase in use of the resting areas when Qinglian introduced these partitions – resting time within specified areas almost doubled. Another objective that we’ve been running with our producers is to encourage them to minimise the length of time that sows have to be in gestation stalls for before they go into the group housing system. There’s this idea of group housing immediately post-weaning, just breed and release, or they might do a pre-implantation stage grouping or post-implantation stage. We would obviously like to see sows spending the minimum time possible in stalls, but if there are problems we do say that 28 days in stalls is considered acceptable. What’s exciting is that after trialling these open systems on farm, the data comparing mortality and production between when these companies used gestation stalls and when using group systems, shows a positive impact of reducing confinement on both of these values (Table 1). Brazil have also been making advances in their swine welfare and enrichment? We have been working with a number of producers in Brazil, namely JBS and BRF – both large-scale producers with worldwide markets. BRF have around 400,000 sows and have made a commitment to run group sow housing systems across all of their units by 2026. Animal welfare is integral to their business and the people within the company. This said, many pig units across Brazil face the challenge of the climate when it comes to swine health and welfare. Straw and rooting material is a key component of enrichment but the availability of good quality straw and the risk of contamination with mycotoxins and disease poses a constraint to producers. Full straw bedding has also been proven to increase heat stress in hot climates, is there a compromise to this? There is evidence that pigs will move away from straw and lie somewhere else, sometimes in the dunging area, if they are too hot, but we know that straw is so important for gut health and gut fill for the sows, so we do really try to encourage producers a straw rack or straw feeder. Even if they can’t have straw bedding or substrate, we try to encourage suing small amounts in feed because it’s really good for the sows to have that gut fill. We’re learning more and more about how gastric ulceration is a problem. Most of the work is being done with grower-finisher pigs, but I suspect it’s a huge problem with sows. We suspect that some of the sham chewing that you see and the foaming at the mouth that the sows do, that could be due to real severe gastric discomfort. We’ve been working hard on enrichment on farms in China because they don’t have so much material substrate so producing enrichment is challenging. However, producers have become quite creative; just using fresh grass that they’ve picked next to the buildings and putting it in hanging baskets or weaving their own baskets to use. Being resourceful is key to a successful, low-cost switch to better welfare. Does the report cover welfare schemes in countries where the climate is less extreme? Our research covers Europe and North America as well, where many companies have been focussing on swine welfare for a long time now. Europe, in particular, have been focussing on edible enrichment in recent trials. There’s a lot of changes ongoing in Europe and North America with regards to open systems, group housing and enrichment but I think the changes being made in Thailand, China and Brazil are much more drastic, and interesting to showcase. One of the reasons we’re working in those three markets is that we see them as fast changing; they’re interested in increasing their pig production output; they see pig production as an important business. We have country officers in each of those countries so we have local expertise who know the local situation. This is important to get across – this welfare initiative is not just us from our European mindset saying this is the way you should be doing things, we have country-level expertise there who are able to make these tailored changes. 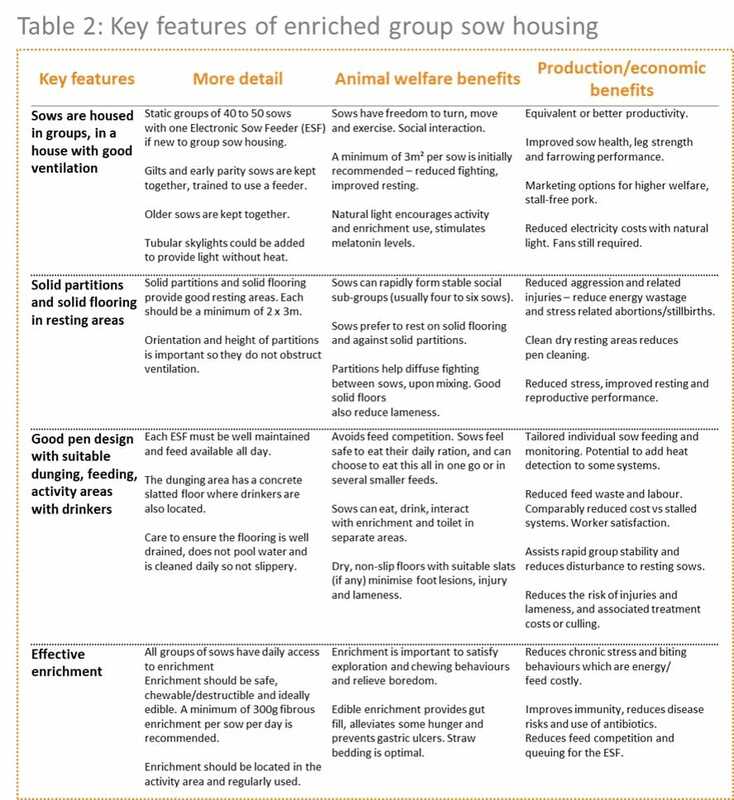 We don’t want producers to do something that isn’t going to work; it has to be successful from a business perspective (see Table 2). This is very much a case-by-case strategy then, not a ‘one size fits all’ approach? Absolutely! We really want to focus on making impact on a large scale which is why we like to work with commercial companies, to show how they can make changes on one farm, learn that the changes work and then scale that up to the rest of their business, on a timescale that they are comfortable with. Once they have the expertise, they can scale up gradually. Obviously, we want it to happen as quickly as possible, but gradually enough that producers can financially do it and also have the expertise and knowledge to do it well – that’s very important. Dr Sarah Ison is a researcher and global farm advisor for World Animal Protection. Sarah completed her PhD in animal welfare and behaviour, and has published papers for journals, such as Applied Animal Behaviour Science and Frontiers in Veterinary Science.